Egypt old kingdom started from 2686 and lasted until 2181 BC as it was mentioned in many historical sites including Wikipedia. This period is commonly known as “The age of the pyramids” or “The age of the Pyramids builders” as, during this period, there were great builders of pyramids including Snefru. There are also the exquisite Giza pyramids, which were built by members of the fourth dynasty such as Khufu, his son Khafre, in addition to the grandson of Khufu, Menkaure. This period included the era ruled by the third dynasty through the sixth one. Through that era, people in the Nile Valley first began to produce the art and architecture that are considered the most valuable architecture until today. It was a period of internal prosperity and security but it was followed by a disunity period and a cultural decline, which was the first intermediate period. The king of Egypt during the Egypt old Kingdom became a living god who ruled absolutely. King Djoser was the first ruler of the Egypt Old Kingdom, who moved the royal capital of Egypt to Memphis where he established his court. The architect of Djoser, Imhotep was the one who is credited with the development of building with stone and with the conception of the new architectural form. He was a great architect who designed the spectacular Saqqara Step Pyramid. Imhotep wanted to be different and to build a stone pyramid rather than a pyramid built something special rather than mud brick mastabas. This amazing period started with Djoser who ruled from 2691 until 2625 BC during the third dynasty of Egypt. During his rule, the great Saqqara Step Pyramid has been built with the help of the vizier of Djoser “Imhotep” who was a great architect and helped a lot in establishing amazing constructions. The pharaoh during that period was being treated as a god as ancient Egyptians believed that the pharaoh was the one who was responsible for the annual flooding of the Nile. The Fourth Dynasty of Egypt started with Snefru who ruled from 2613 until 2589 BC who followed Djoser and became the next great pyramid builder. He accomplished three pyramids including “the Medium Pyramid, the Bent Pyramid, and the Red Pyramid”. King Khufu was the pharaoh who succeeded Snefru from 2589 until 2566 BC. This amazing king who ruled during the 26th century, built one of the Seven Wonders of the World “the Great Pyramid”, which needed 20 years to be constructed and the reason behind considering it the tallest sculpture that has been ever built by a man before the construction of Eiffel tower in 1889 CE. Then, he was followed by Khafre (2558–2532 BC) who built the pyramid of Khafre in addition to the mythical Sphinx. The son of Khafre from the fourth dynasty “Menkaure (2532–2504 BC) came and continued the terrific art of his family by constructing the pyramid of Menkaure. Note: if you prefer to visit the three-pyramids of Giza, plus the Sphinx & the valley temple, please check our Cairo day trips and choose a suitable tour for you. This era started with Userkaf, who ruled from 2494 till 2487 BC and during his reign, there has been much growing importance of the cult of the sun god Ra. That is why instead of building pyramids such as the fourth dynasty, they were interested in establishing sun temples in Abusir. Sahure, the son of Userkaf, succeeded his father and started his expedition to Punt. Sahure was succeeded by Neferirkare Kakai, who introduced the phenomena in the royal titulary. The trade in Egypt expanded so much during that period and it included gold, copper, myrrh in addition to other useful metals inspired the ancient Egyptians to build suitable ships for navigation in the open sea. During the rule of the Sixth Dynasty that started from 2345 until 2181 BC, the great power of the Egyptian pharaohs gradually weakened and finally declined. Throughout the reign of Pepi II, there has been internal disorder and the country slipped into civil wars mere decades after the end of Pepi II’s reign. The drastic drop of that period actually occurred with the 22nd-century drought. The collapse of the Egypt Old Kingdom was followed by decades of strife and famine. There is an inscription on the tomb of Ankhtifi, who was a monarch during the early First Intermediate Period. That inscription describes the pitiful state of the country when famine stalked the land during the First Intermediate Period. This period started from 2181 and lasted till 2055 BC. It starts with the seventh dynasty until part of the eleventh dynasty. During that period, Egypt was divided into two competing bases, the first base resided at Heracleopolis in Lower Egypt & the other one resided at Thebes in Upper Egypt. Temples during that period were pillaged and violated, their existing artwork was vandalized, and the statues of kings were broken and destroyed because of the political chaos. There was a conflict between the two kingdoms, which resulted in the reunification of Egypt under a single ruler, Mentuhotep II, during the second part of the eleventh dynasty. After that event, it was the beginning of the Middle Kingdom of Egypt. The Egypt Old Kingdom was a very dynamic period full of different forms of art through which artists learned to express their culture’s worldview, creating for the first time images and forms that endured for generations. Architects mastered the techniques necessary to build stone monumental structures. Sculptures were able to create different portraits of individuals and sculptures made of wood, stone, and copper. Those sculptures produced detailed images of animals, plants, and landscapes to record the essential elements of their world for eternity. To do so, they painted and carved those images on the walls of temples and tombs. The principal functions of those pictures were 1) to ensure an ordered existence and 2) to defeat death by preserving life into the next world. Egyptians produced elegant jewelry, finely carved and inlaid furniture, and cosmetic vessels in addition to the central effort to preserve life after death. 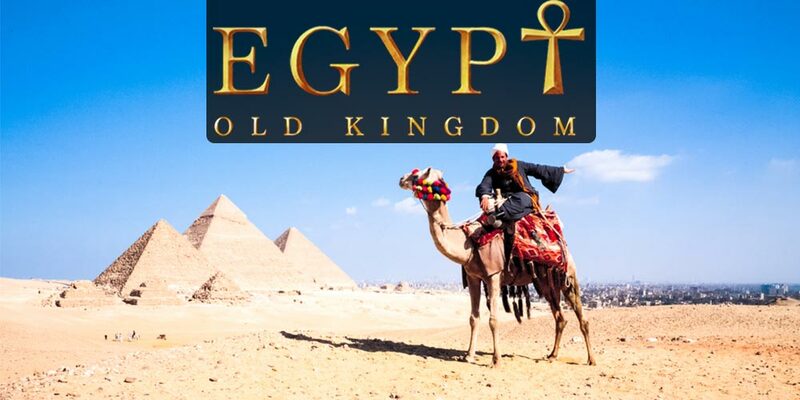 Finally, Egypt is a perfect destination for vacation because of its mysterious, beautiful temples, ancient civilization, hieroglyphs, mummies, and above all the splendid pyramids, , so “Trips in Egypt ” provides you with Egypt tour packages to enjoy the best time ever in the land of pharaohs and explore the most famous attractions of Cairo, Luxor, Aswan, and Alexandria, plus enjoying a luxury Nile cruise holidays to witness the glory of Pharaohs.